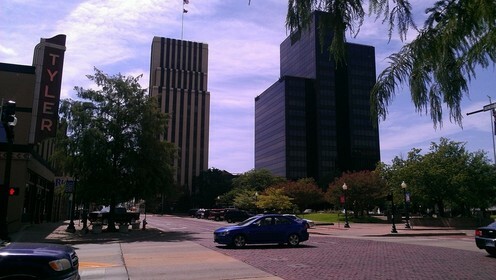 Tyler, Texas is the county seat for Smith County and is equal distance between Dallas-Fort Worth and Shreveport, Louisiana. The city is strategically positioned to service East Texas as an advanced manufacturing, health care, education and retail center. The location allows businesses in the city to quickly connect to an extensive interstate and state highway system, major airports and international shipping facilities. Low cost labor, land and buildings are part of what attracts businesses to this active, friendly community. Tyler is home to three colleges and universities and provides other facilities to educate a diverse and talented population. America’s Rose Capital welcomes tourists with family attractions, shops and an abundance of outdoor activities. The health care industry is the cornerstone of Tyler’s business community and anchors their economic success. Tyler is the regional medical hub for East Texas. The three primary hospitals are the East Texas Medical Center Regional Healthcare System, Trinity Mother Francis Hospital and Clinics and The University of Texas Health Science Center at Tyler. The UT Health Science Center offers medical residencies and clinical rotations for nurses in a full-service hospital. The diverse and experienced network of supporting clinics, practices and specialty hospitals service the 200,000 county residents. Tyler Community College will soon add a nursing and health sciences facility in support of the county’s hospital system. A recent study by an independent real estate firm surveyed small metro areas in the United States and recognized Tyler as the second most employable city. Tyler’s strong economy and reliable workforce consistently perform for the business economy in this booming town. With no state income tax or property tax, local governments levy taxes. Property tax in Tyler is $0.20 per hundred. Sales tax is 1.5% in Tyler plus $0.50 for Smith County. Those fees added to the 6.25% sales tax rate in Texas makes the 8.25% tax rate on average with the rest of the nation. Forty-two banks are available to support investment and fiscal activities for employment and expansion. The city has 2.5 million square feet of retail space and diversified media access for advertising. The Tyler Economic Development Center offers incentive grants that assist new businesses in locating to Tyler. With the recent approval for a new hotel and convention center, the city demonstrates how deeply they are invested in the success of the community. Tyler hosts 270,000 people for work, school, shopping, and medical services every day. With ninety percent of the workforce residing in Smith County, any interested business has a jump start on success. Tyler wisely practices policies to keep their economy solid and that aids businesses in creating and retaining new jobs. The city’s friendly residents are proud of where they live and that attitude is what makes Tyler, Texas an award winning place to live and do business.